Our souls yearn for something beyond the mundane. As a flower turns toward the sun, so do our souls turn toward light -- whether we call this God, or the Divine, the transcendent, or the highest moral standards. Yet how often do we actually talk aloud about the yearnings and desires of our innermost selves? With whom can we examine what is personally true for us about God? How do we seek ways to foster our spiritual growth? When do we take the time to discover the deeper meaning of ordinary events in our lives? Spiritual Direction is the practice of setting aside time to explore our inner, spiritual life in the presence of a trained, compassionate listener. To that end, the name “spiritual direction” is misleading, since the listener is not actually “directing” the conversation or the outcome. That is why other names have been suggested for this activity, such as “spiritual guide” and “spiritual companion.” None of these names is exactly accurate yet each captures an aspect of the listener’s role: a spiritually mature and experienced person who can help the seeker look more deeply into his or her inner life. Spiritual Direction is also a place to safely question religious beliefs that no longer satisfy. Spiritual Direction can be used to consider life choices and decisions based on compassion and ethics, and to discover paths that best nourish the soul. One way to consider this is to ask what God would want in each situation. Decisions made in this way lead to the most empowering and the most enlivening outcome, as well as the most deeply satisfying. Generally one meets with a Spiritual Director once a month for an hour. This is an ongoing relationship; some people have had the same director for many years. 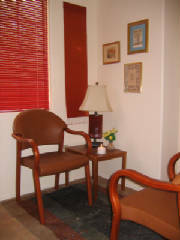 It is not about problem solving or addressing the kinds of issues one might bring to therapy. Rather it is based on the directee’s desire to have a companion and a forum for nurturing his or her spiritual life. If Spiritual Direction sounds like something that would be of interest to you and you would like to discuss it further, please contact me. I completed the three-year Spiritual Directors’ Institute at the Mercy Center in Burlingame, California, in 2004 and training as a Spiritual Director supervisor in July 2010.